Communications service providers (CSPs) are adopting increasingly diverse strategies to address the IoT opportunity. 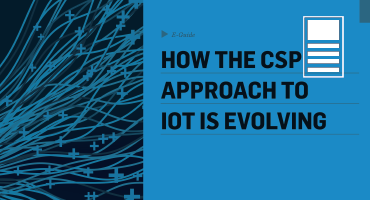 Even more so, CSPs have a critical role to play in IoT even if it is only in the provisioning of connectivity, such as the deployment of low power wide area networks. In this e-guide, learn from Matt Hatton – a wireless industry expert with 15 years of experience – on how communications providers’ approach to IoT is evolving.